Lujan is our Destination Expert in Argentina. "Our trip is over and we want to thank Lujan for the opportunity and for patience during the preparat...". "The tour took in a number of Argentina's highlights and cultural attractions. Patagonia was the prim...". Visit Purmamarca, the most characteristic and picturesque part of Jujuy. Enjoy an exciting visit to the salt caves of the Atacama desert. See the geyser's steam columns on the highest geothermal field in the world. Enjoy an adventure across the Bolivian salt flats of Salar De Uyuni. This 9-day tour is a packed with the best of three beautiful countries: Argentina, Chile, and Bolivia! With so many fascinating destinations, this is one trip you will never forget. Visit one of the most well-preserved colonial cities in Argentina, Salta - the perfect base for your adventures in the northwestern part of the country. Travel the stunning Cloud safari, and discover the local culture of traditional Andean towns.You will also visit San Pedro De Atacama in Chile, a laid-back oasis town on the edge of the driest place on earth. Top it off with an excursion to Salar de Uyuni in southern Bolivia. This is the chance to discover all three exciting countries for yourself! Welcome to Salta! This is one of many traveler’s favorite cities. Salta offers outstanding museums, colonial architecture, lively cafés in the main plaza, and the vibrant and authentic peñas, places where locals grab a table to watch their favorite folklore singers. Upon arrival, you will be picked up by the driver at the airport and transferred to your hotel. You have the day to yourself. You can rest at the hotel or if you are excited to check out the city, go strolling in the streets and check out the local shops. Get acquainted with this beautiful and festive city on your own! Today, enjoy a tour through Humahuaca - a UNESCO Natural Heritage site. This is one of the most unforgettable routes that northern Argentina has to offer. It is the perfect mixture of natural landscapes and cultural artifacts! 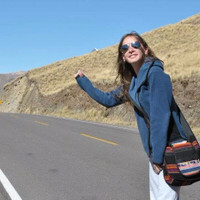 En route, visit Purmamarca, the most characteristic and picturesque part of Jujuy. It is a small town between multicolored mountains, where the warmth of the people will make your trip simply unforgettable. You will also pass by Maimara, also known as "the Painter's Palette". You will arrive in Humahuaca in the afternoon. Visit the Independence monument and travel through the town before stopping to eat a lunch of typical local dishes. On the way back to Salta, visit the beautiful small towns of Uquia, Tilcara, and San Salvador de Jujuy. Then, return to Salta for your overnight stay. After the extensive tour yesterday, you will have the opportunity to relax and go sightseeing at your own pace today. You can explore the highlights of the Colonial Area, such as the Cathedral, the Franciscan church, and the San Bernardo convent. If history is your thing, go on an excursion to the world famous museum, where they exhibit mummies from the high Andes. If you are looking to relax, just sit in one of the many live cafés in the main square. Try visiting a Peña and join the locals eating and dancing! Early in the morning, travel to San Pedro de Atacama. Say goodbye to Argentina for now! San Pedro de Atacama is a small town in the driest desert of the world and part of Chile’s most spectacular scenery. Enjoy a village of little adobe houses and cozy restaurants. You will cross the Andes through the "Paso de Jama", one of the highest international passes in the world! Enjoy the ride, during which you can gaze out the window and enjoy stunning Altiplano scenery! Today, experience the Atacama Desert, one of the world’s driest and most hostile zones. In the afternoon, you will be picked up for your excursion to the impressive Valle de la Luna, also known as the Moon Valley. The trip will take you through the desert to unique forms of salt and clay, such as the “Three Marias”. Take pictures of these amazing sculptures! Enjoy an exciting excursion in the salt caves. The highlight of your adventure will be waiting for the Atacama sunset. Soak in the wonderful landscapes and colors of the mountains under the golden sun, with the Licancabur Volcano as the age-old witness to a new evening in the desert! Wake up early in the morning to travel from San Pedro of Atacama into the Andes mountain range, where you will enjoy experiencing the most astonishing natural phenomena in Chile. Watch the contrasting colors produced by the steam columns in the highest geothermal field in the world! Use the chance to take impressive photographs while walking over the field. How about a warm, natural bath? Use the unique opportunity to swim in the Tatio spring waters. The day is perfect for relaxing in Chile's amazing nature. Get ready for an exciting adventure in Bolivia! Get your gear ready and don't forget your camera! Today, you will ride a 4WD across the Bolivian salt flats, with the contrasting blue sky against the background of the mountains, volcanoes, and geysers! Visit Laguna Verde and Laguna Blanca, located at the foot of Licancabur Volcano. Then continue to Dali Desert, where you can admire a surrealistic landscape, thermal water pools, and Sol de Mañana geysers. The day's journey ends up at Laguna Colorada, the main nesting center of more than 30,000 flamingos of 3 different species! Today, visit the Siloli Desert, where you can see impressive sets of rock formations. Then, continue to the high plain lagoons, also known as colored lagoons, Laguna Honda, Chiarcota, and Cañapa. Afterward, move on to explore Chiguana salt flat and San Juan town. Then, head to your extremely unique hotel: spend the night at the Salt Hotel where you can enjoy your well-deserved rest. Use your last day to its fullest! 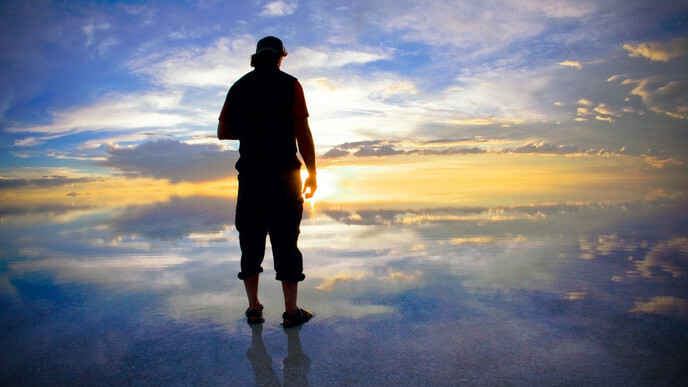 Spend your morning taking a tour around the Uyuni salt flat. Have the chance to visit the town of Colchani, located on the outskirts of the salt flat. From there, head to the tranquil Bolivian Uyuni city, where you will be transferred to the airport for your flight to your next destination. Although your trip is over, it has been an experience you will never forget.